Also known as the Japanese Common Squid, the Japanese Flying Squid is part of the Ommastrephidae family. It lives in the northern Pacific Ocean around Japan, and up to the coast of China, Russia, and across the Bering Straight towards lower Alaska and Canada. Clusters of the Japanese Flying Squid are also found in the central region of Vietnam. The Japanese Flying Squid can live in cold temperature, from 5° to 27°C. 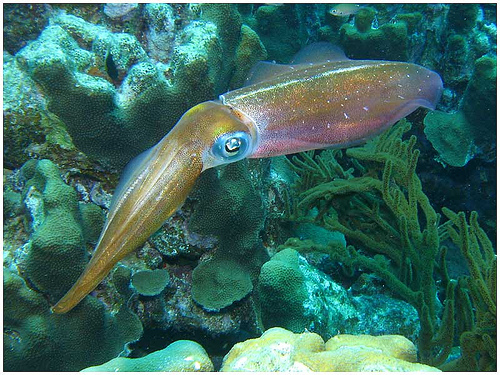 Adult squids have a few distinguishing features. They have a mantle which encloses the visceral mass. They also have 2 fins, a siphon used for jet propulsion, and 8 arms and 2 tentacles that have suction cups on the back. In between their arms is a mouth, commonly called a beak. Inside this mouth is a tooth-tongue item called a radula. They also have ink sacs, which are used as a defense mechanism. They also have 3 arts. 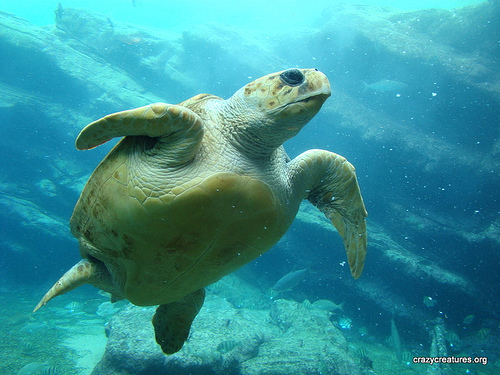 They tend to live in the upper layers of the ocean, but are only short lived as they live for only 1 year. Within this year of life, the Japanese Flying Squid matures from larvae form. They then fed, grow, migrate, and then at the end of their lives, they congregate in mating grounds where they reproduce. When they reproduce, they die. Three sub-populations of Japanese Flying Squid have been found off Japanese waters. The main group spawns in the East China Sea, the second group spawns in autumn in western Kyushu, and the third but minor group spawns in the spring or summer in the Sea of Japan and north-eastern Japan. When they migrate, they move north and then south as they follow the currents. These squids travel in large schools. When reproducing, males mature first and they transfer their spermatophores to the immature females. Continuing their southern migration, females then mature and span 300 – 4,000 eggs. The squids all migrate together and lay their eggs in the same place that they were born in. the eggs will then hatch into larvae in 5 days, although this depends on the temperature of the water. The main fishery players of the Japanese Flying Squid is mostly Japan. This is followed by the Republic of Korea, and then China. 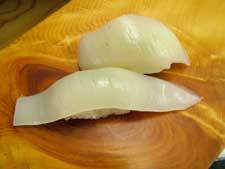 The production and consumption of this squid is the highest in Japan. This squid is also exported to other countries for human consumption. The USA is the top importer of this squid, while Japan is the largest consumer and exporter. This squid is used to make seafood-related dishes, such as sushi. The fishing season is all year around. However, the most popular seasons are from January to March, and then June to September as this is when the largest catch of Japanese flying squid can be caught. They are caught with hook and line, lift nets, and gill nets. The most popular fishing method is hook and line, which is used in jigging.